Hey, Hey, We’re the Tiny but Respected and Protected Minorities! You know it’s rather easy to criticize Romania (as I do myself often when it’s merited) but it’s also good to take a look at what Romania does right. As I mentioned in my (in)famous article, Black and Blue, the post-1989 Revolution government should be applauded for not taking the Latvian route of denying citizenship and full rights to many of its minorities. The Gypsies, of course, are the most famous and well-known of these minority groups, followed closely by the Hungarians (both “kinds”, regular and Szekely). But what other minorities exist in Romania? And how are they treated in this country? To begin with, my hat is off (Ro: palarie jos) to the post-89 government for establishing the Department for Inter-Ethnic Relations in 2005, which has a director chosen by the Prime Minister and whose task is to protect and promote minority ethnicities in this country. Furthermore, by law, all of the following minorities are guaranteed at least one seat in parliament (if they get more than 5% of the votes, they can have additional members), meaning they all get a chance to vote and participate in parliamentary debates. So let’s take a look at who they are! Note: we’re still waiting on the 2011 census official results but it should be noted that ethnicity is self-declared and not listed on official identity documents so there’s no way to truly get “hard” numbers. Albanians – Represented officially by the Association of the League of Albanians of Romania, they have a tenacious little monolingual website that’s updated fairly frequently and has a lot of good information about who their community and culture. There are roughly 1,000 citizens of Romania who self-identify as Albanian. Member of parliament: Oana Manolescu, born in Tirgu-Jiu but now representing Iasi county, she has written several articles in both the Albanian and Macedonian languages and is a staunch supporter and enthusiast of Albanian traditional music and dances. Armenians – While there have been Armenians in Romania for a thousand years, in the last 100 years they have been largely absorbed into the larger cultures (Hungarian in Transylvania and Romanian elsewhere). Nonetheless, they are still around and officially represented by the Uniunea Armenilor din Romania or “Union of Armenians of Romania” with a simple but dignified and informative website. There are roughly 500 citizens of Romania who self-identify as Armenian. Currently represented in parliament by the powerful Varujan Vosganian, who has held several cabinet posts and is still a ranking member of the PNL party. Bulgarians – Represented officially by the Uniunea Bulgara din Banat Romania or the “Union of Bulgarians in the Romanian Banat”, they have a charming little blog in Romanian but no official website. There are roughly 8,000 citizens of Romania who self-identify as Bulgarian. While they are a tiny minority in western Romania, they are represented in parliament by Niculae Mircovici, born in Timis County and a fluent speaker of Bulgarian. Croatians – Represented officially by the Zajednistvo Hrvata u Rumunjskoj party or the “Union of Croats in Romania” they have a lovely bilingual website with news and information about their culture and language. There are roughly 6,000 citizens of Romania who self-identify as Croatian. Member of parliament: Mihai Radan, formerly the mayor of Carasova (jud. Caras-Severin) and currently also the author of two school textbooks to teach the Croatian language. Czechs and Slovaks – While these two cultures aren’t identical, they’re quite similar and they’re officially represented by the “Uniunii Democratice a Slovacilor si Cehilor din Romania” or “Democratic Union of Czechs and Slovaks of Romania” and has no website because their former one was suspended by the ISP host. There are roughly 4,000 citizens of Romania who self-identify as Czech and 17,000 people who self-identify as Slovak. The Czechs and Slovaks are represented in parliament by Adrian-Miroslva Merka, born in Slovakia and still today a Slovak citizen, currently representing (Judet/County) Bihor in parliament. Germans – I’ve written extensively about the German minority in Romania but they are officially represented by the Das Demokratische Forum der Deuteschen in Rumanien or the “Democratic Forum of Germans in Romania”. Their powerbase is entirely in Sibiu (both the city and county) but they also have one member in the national parliament, Ovidiu Victor Gant (Gantz), a fluent speaker of both Romanian and German. There are roughly 37,000 citizens of Romania who self-identify as German. Greeks – Represented officially by the Ενωση Ελληνων Ρουμανιας or “Greek Union in Romania”, they also have a lovely bilingual website with news and information about their culture, language and religion, not to mention many lovely pictures of Greece. There are roughly 6,000 citizens of Romania who self-identify as Greek. Member of parliament: Dragos Gabriel Zisopol from Campina (jud. Prahova) and a fluent speaker of modern Greek, he’s had a long history of working in the petroleum industry. Gypsies – While I’ve written enough material to fill up several books on these people, they are officially represented in this country by the “Partida le Romenge” or “Social Democratic Party of the Roma”. Member of parliament: Nicolae Paun, born in Bucharest and a long-time businessman, he speaks the Gypsy (Romany) language and was a founding member of the Partida le Romenge. There are roughly 619,000 citizens of Romania who self-identify as Gypsy (Rroma). Italians – Mamma mia, the Italians aren’t just businessmen or tourists in this country but have a long history of living here and are currently represented by L’Associazione Italiani della Romania or “Association of Italians of Romania”, with a cute little website that has lots of good information in two languages about their culture and language. Represented in parliament by Mircea Grosaru, born in Bacau and a fluent speaker and author in the Italian language, he has been awarded the Order of the Star (Cavalier rank) by the Italian government. There are roughly 3,000 citizens of Romania who self-identify as Italian. Jews – While obviously there has been a lengthy and difficult history for Jews in all of Europe, including Romania, today Jews are a protected minority, Represented officially by Federatia Comunitatilor Evreiesti din Romania or the “Federation of the Jewish Communities in Romania”, which has a monolingual website (Romanian only) and a metric ton of information about the Jewish religion, culture and activities in this country. Member of parliament: Aurel Vainer, born in Stefanesti (jud. Botosani) in 1932 but now a member of parliament representing Piatra Neamt, he has written dozens of books and has been awarded both the Order of the Star of Romania (Cavalier grade) and the National Order of the Legion of Honor (Cavalier grade) from France. There are roughly 6,000 citizens of Romania who self-identify as being Jewish. 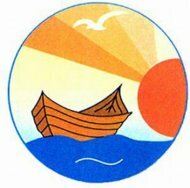 Lipovan – While I’ve written about this unique and special community before on the blog, the Lipovan are officially represented in this country by the Община русских липован Румынии or the “Community of Lipovan Russians of Romania”. Sadly their website is under construction at the moment so you can’t see their super cool rowboat logo. Member of parliament: Miron Ignat, an ethnic Lipovan born in Constanta but now representing Tulcea, he’s had many bitter disputes with the Lipovan community, who have accused him of misrepresenting their interests and misappropriating EU funds. There are roughly 24,000 citizens of Romania who self-identify as Lipovan Russian. Macedonians – Represented officially by the Asociatia Macedonenilor din Romania or the “Association of Macedonians of Romania”, they have a very orange monolingual website with lots of information about their long history here in this country. Member of parliament: currently none after the sudden and early death (born 1973 in Craiova) of Liana Dumitrescu, who had been the driving force for Macedonians in Romania for the past 15 years and is sorely missed by that community. There are roughly 700 citizens of Romania who self-identify as Macedonian. Poles – With all the various wars and treaties, some villages where people spoke Polish ended up being incorporated into modern day Romania (Jud/County Suceava) and the Polish language and culture is still alive, officially represented by the Związku Polaków w Rumunii or the “Union of Poles of Romania”. They have an absolutely superb bilingual website with tons of current information and news. Member of parliament: Ghervazen Longher, born and raised in Suceava and a fluent speaker of the Polish language. There are roughly 4,000 citizens of Romania who self-identify as Poles. Ruthenians – If you’re wondering who the Ruthenians (Rusyn) are and how exactly they differ from Ukrainians, all I can tell you is read Wikipedia. Nonetheless, the Ruthenians are represented officially today in Romanian by the Культурний союз русинів Румунії or “Cultural Union of Ruthenians of Romania”, with a goofy monolingual website that nonetheless has some charming photos and a nice history (in Romanian) of who they are. There are roughly 300 citizens of Romania who self-identify as Ruthenian. Member of parliament: Gheorghe Firczak, originally from Hunedoara but now representing Arad in the parliament, he has probably my favorite official picture of any deputy in parliament. It looks like a mugshot or something as his tie is crooked and he desperately needs to comb his hair and shave. Serbs – Represented officially by the Savez Srba u Rumuniji or “Union of Serbs of Romania”, their website consists of their cool tree logo and nothing else whatsoever in any language. I’ve been to their headquarters in Timisoara so I know they exist but it looks like they aren’t overly fond of the internet. Member of parliament: Slavomir Gvozdenovici, currently representing Timis County but born in Caras-Severin, he’s a fluent speaker of Serbian, publishing hundreds of articles, and is a member of the writers union in Serbia. There are roughly 22,000 citizens of Romania who self-identify as Serb. Tatars – Represented officially by the Romanya Musluman Tatar Turkleri Demokrat Birligi or the “Democratic Union of Tatar Turkish Muslims of Romania” (say that three times fast! ), they have a trilingual website (Turkish, Romanian and English) which is fairly professional but updated only rarely. If you’re not quite sure what the different between a Turk and a Tatar is, click here for the Wikipedia article. There are roughly 22,000 citizens of Romania who self-identify as Tatar. Member of parliament: Aledin Ahmet from Constanta. He also has published three volumes of poetry in the Turkish language. Turks – Represented officially by the Romanya Demokrat Türk Birliği or the “Romanian Democratic Turkish Union”, they have a rather quaint trilingual (Turkish, Romanian and English) website with lots of pictures of people in traditional Turkish clothing. 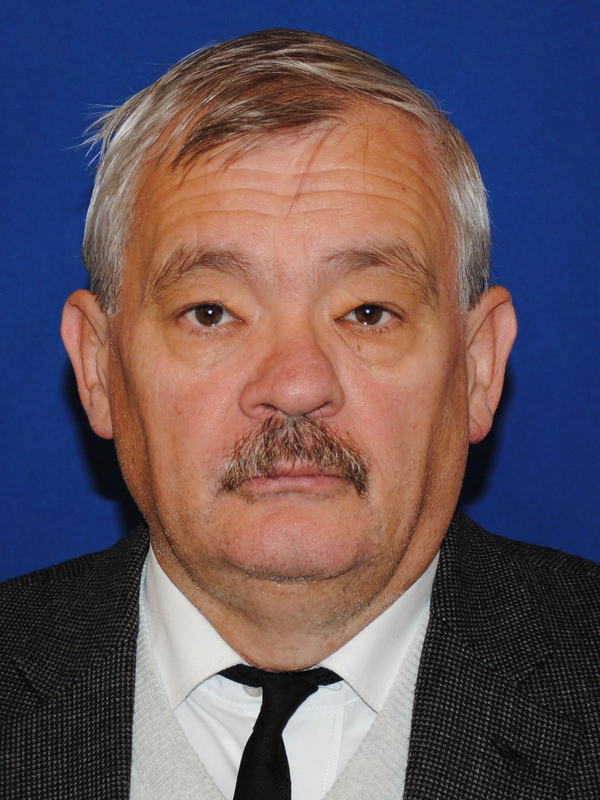 Member in parliament: Iusein Ibram, from Tulcea. There are roughly 28,000 citizens of Romania who self-identify as Turkish. Ukrainians – Represented officially by the Союзу Українців Румунїі or “Union of Ukrainians of Romania”, they have a minimalist (bilingual) website with little news but lots of pretty pictures of children in traditional Ukrainian clothing. Member of parliament: Stefan Buciuta, born and raised in Maramures, he is a long-time supporter of Ukrainian culture and is the organizer of several Ukrainian festivals in Romania. There are roughly 51,000 citizens of Romania who self-identify as Ukrainian. Note: I didn’t discuss the Hungarians here because they have multiple political parties, including the UDMR, which regularly gets over the minimum threshold of votes and forms alliances with the ruling parties and has thus had several cabinet ministers and secretarial positions in many different governments, etc, all “earned” in their own right and without the need of affirmative action or positive discrimination. In the European Union, only two countries besides Romania have reserved seats for minority ethnicities, Cyprus and Belgium, the latter country not only reserving seats for its Flemish (Dutch) minority but also having one allocated seat for a German member. Obviously Romania has gone above and beyond what other EU countries provide, allocating seats for tiny minorities (such as Macedonians or Albanians) when nations like Germany don’t have a single reserved seat for minorities despite having some 1.5 million Polish and 3 million Turkish citizens. Likewise, Great Britain, now full of politicians and racists screaming about an impending “tsunami” of Romanian immigrants, doesn’t have a single reserved seat in parliament (or political party) even for its own traditional minorities like Jews or Gypsies (called “Travellers” in the UK), nor for its 2.5 million citizens of Indian or Pakistani heritage, the result of centuries of imperial conquest. I had never thought about the ethnic minorities in Romania before except of course for the Gypsies. I am surprised at how many different groups there are and that Romania has seats for them to be represented in parliament. This gives me an idea. Maybe I’ll try to establish a minority seat in parliament for Americans. We are a minority in Romania. I know I’ll get at least one vote, mine. Now I’ll just have to find a small place with room for a garden and finally learn to speak Romanian. I have purchased no less than 4 Romanian Language courses over the years but never followed through. :-P try Memrise, it’s free! We have been here 25 yrs, from Ohio and I have found the only way to learn to speak is surround yourself with Romanians and force yourself to speak. Lots of sign language in beginning. 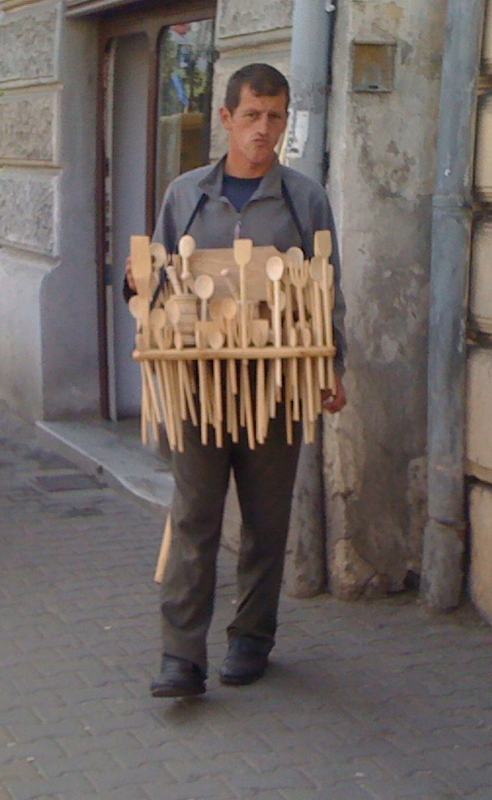 What is it about Romania that enticed you to make your home there?